From restaurants, local shops, even the Beaver Valley Mall… we at YBC have really enjoyed digging up some old memories and reminiscing about those places that we all miss. It’s in that same spirit, and the fact that I have an unhealthy love for Kennywood, that I thought it would be fun to do the same thing with some of our favorite throwback rides at the greatest place on earth! 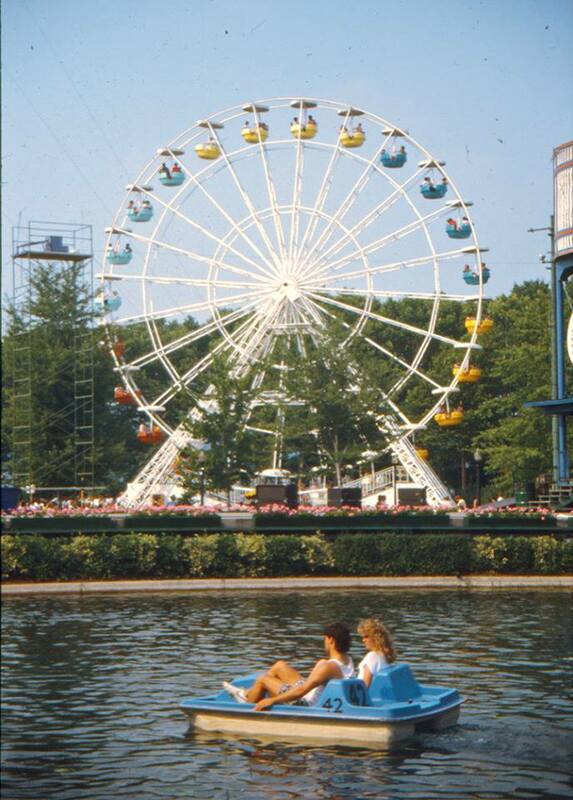 Maybe it’s because they got rid of it when I was a kid so my perspective was a bit skewed, but this is the biggest Ferris Wheel I ever remember seeing. It had the perfect spot overlooking the lake in the center of the park, as well as a view over to the other side of the river. Don’t get me wrong, I’m a HUGE fan of the AERO 360, so I’m not complaining. It’s just always a shame to see these beautiful old fashioned rides go. I’ve heard great stories about this one since it was gone before I reached roller coaster height, especially one about my Uncle Jimmy turning green after downing some food before jumping on. What’s better than going through some loops upside-down? Going through them backwards. I’m bummed that I missed out on this one. This fan favorite would slowly pull you up a giant tower to the highest point in the park. Then, it would hold you there indefinitely while you nervously swung your legs back and forth. How long would it hold you there? To this day I don’t think anyone is actually sure. Finally, when nobody was expecting it, you’d plummet back down to the pavement, stopping just in time to avoid making a huge dent in the ground. This was always the first ride we’d get on as soon as we walked through the tunnels. I remember riding this with my Grandparents and thinking that I was actually driving these classic cars. I wish they still had this one for me to take my little guy on. Such a great old fashioned ride that I definitely miss! This is one of the several rides that have gone back and forth between Kennywood and its sister park, Idlewild. A classic that you’ll still spot at a few fairs every now and then, this bad boy used centripetal force to keep you glued to your cage on a ride that seemed impossible for you not to fall out of. I LOVE this. This was one of my absolute favorites through my teenage years. When you wanted a good stomach drop but didn’t feel like waiting in line for one of the coasters, this was your go-to. I swear my friends and I would ride this 20 times in a row, screaming obnoxiously. I apologize to any fellow riders that may have encountered us and our shenanigans. More like Allie’s nightmare. Probably the only change Kennywood has made that was legitimately a horrible idea. The Old Mill was always the second ride of every trip right after the turnpike. It was dark, it was creepy, and you were in a boat! It was fantastic. During my last visit I took my son on this ride. It was clearly for kids, so he should enjoy it, right? Worst. Ride. Ever. It was boring, kind of confusing, and just so long that I wanted to jump out of the boat and swim us both to the exit. This is honestly my favorite ride of all-time. I never got to actually ride it at Kennywood, but since they moved it to Idlewild I’ve been on it more times than I can count… always hoping for the good car that spins the most. They used to have one of these at almost every carnival that came through town, and unfortunately I haven’t seen one in years. Hopefully we can bring this one back! Remember the movie the Sandlot when all the boys swallowed their dips and puked all over themselves on the Wipeout? From the very first time I saw that, I wanted to find and ride one for myself. It did not disappoint. However, this was definitely not a ride for those who can’t handle going in circles. This was a kinder, gentler wooden coaster for the whole family to enjoy. Originally named the Little Dipper, it was a perfect “first coaster” for the kids, and had a fun double dip that everyone could appreciate. This is one I wish I got to ride for myself. 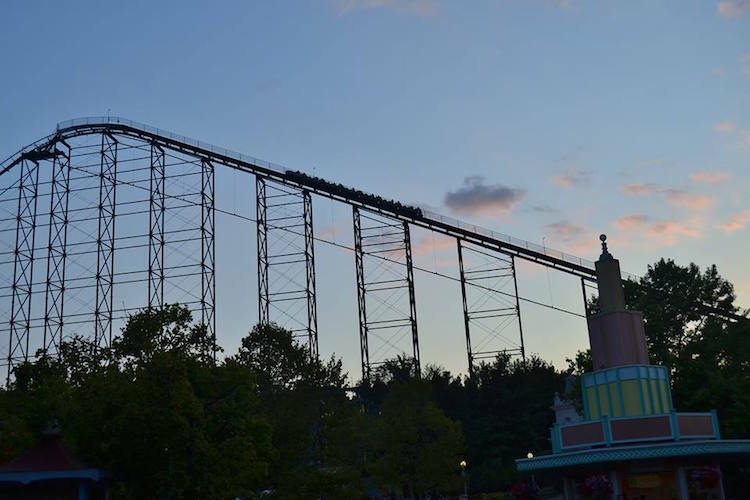 When it was built, the first hill on the Steel Phantom was the highest in the entire world (225 feet.) 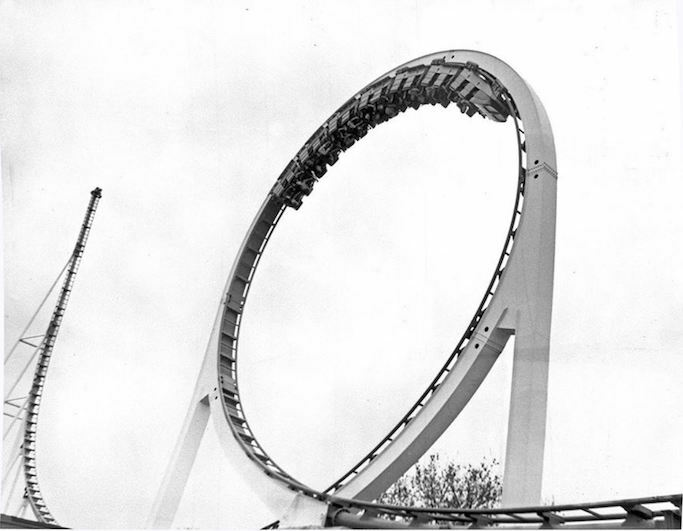 It also had three gravity defying loops, and was so rough that they made you take out your earrings before you got on so that you didn’t stab yourself in the neck! Oh, take me back to the good times! 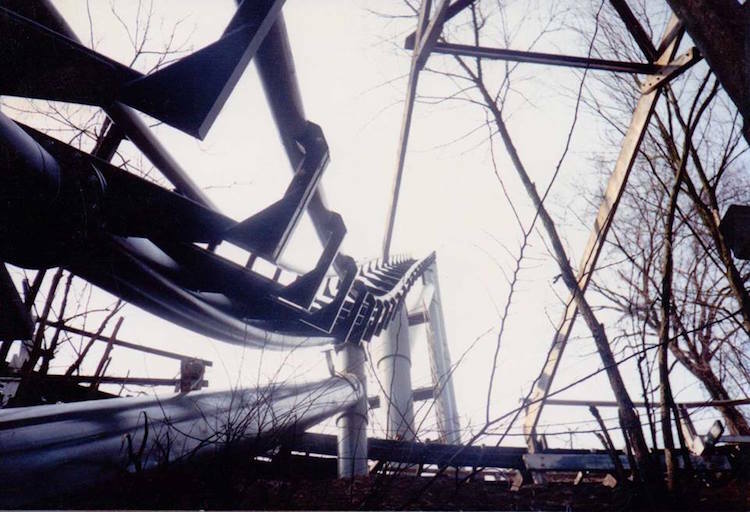 While this coaster is still in place as the Phantom’s Revenge, they took out the loops (and most of the back breaking roughness.) The first two hills will still give you the butterflies that you’re looking for, don’t worry!